exception of a brief hiatus to raise her two children, Mona hasn’t stopped working since, primarily for KABC-TV in L.A., sketching legendary trials such as those of Rodney King, O.J. Simpson, and Michael Jackson. Her work has been seen on magazine shows like Extra and Access Hollywood. Mona’s book, Captured! 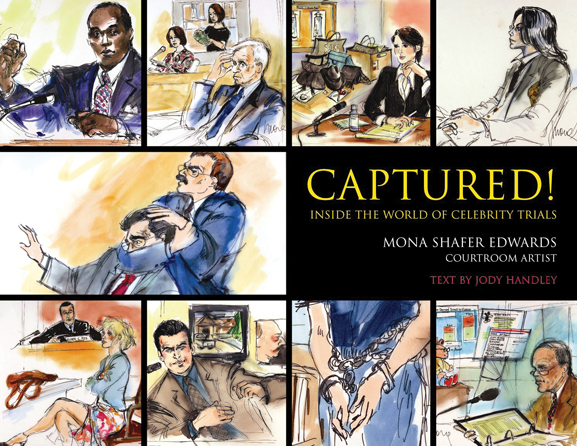 Inside the World of Celebrity Trials, published in 2006, is a spellbinding collection of her work, featuring portraits from the aforementioned trials, as well as of celebrities such as Clint Eastwood, Snoop Dogg, Winona Ryder, Dolly Parton and Dustin Hoffman.